13 pairs of headphones walk away with Awards | What Hi-Fi? The headphone market is awash with models of varying shapes, sizes and prices. It can be difficult to know where to start looking, but our list of Award-winners will help you get the best pair for your particular needs. We've got pocketable in-ears, portable on-ears, headphones more suited to home systems and, for those who want to a cable and hassle-free experience, wireless and noise-cancelling options. Contemplating your first headphone upgrade? Less than £50 will secure you a pair of brilliant Beyerdynamic Byron in-ears. 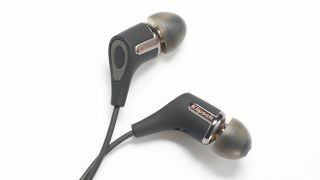 Alternatively, you could jump up a level to the entertaining Klipsch R6i IIs. Both pairs offer sensational levels of sound quality for the money. If you use a premium portable music player instead of a smartphone, or prefer using in-ears with your high-end home system, then the Shure SE425s and AKG N40s are definitely worth auditioning. The on-ear category is full of familiar faces and multiple Award-winners. The AKG Y50s and Sennheiser Momentum 2.0s will appeal to those seeking a fully portable pair, while the Grado SR80es and SR325es and Beyerdynamic Amirons sound remarkable when plugged into a home hi-fi system. For the ultimate in portability and convenience, you'll want to go wireless. Sony's WF-1000X in-ears (and 2017 award-winners) cut the cable entirely, offering excellent sound quality and the added bonus of built-in noise-cancelling. Staying with Sony, if you prefer wireless, noise-cancelling headphones with more traditional over-ear styling, then the WH-1000XM3s get our vote. They tick all the boxes for comfort, excellent noise-cancelling and awesome audio.